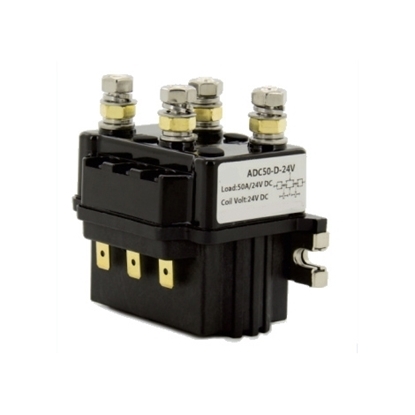 The wide range of DC contactors from ATO will fit your automation requirement. 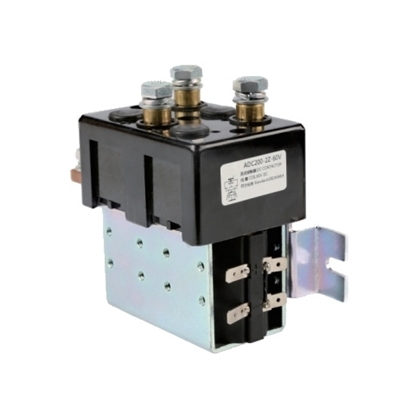 Contactors rating current from 30amps to 600amps, available with 12V, 24V, 48V DC coil. 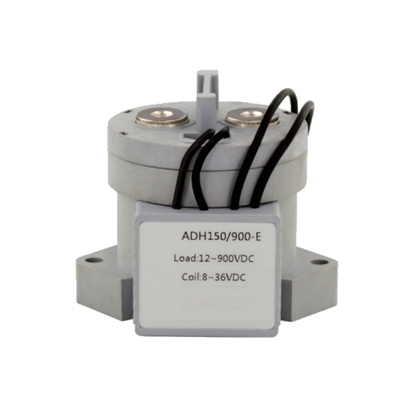 We provide high voltage DC contactors with good performance in small size, 12-900V rated load voltage of contact circuit, particularly for DC high voltage field. 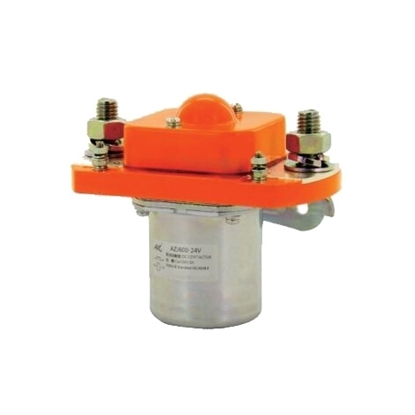 We also offer single pole universal DC contactors and 2 pole DC reversing contactors for the industrial applications that requires the motor to run in reverse. 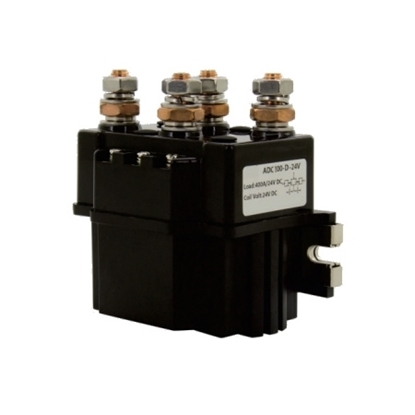 Buy DC contactors online at best price on ATO, you will get a desired one to meet your needs. High performance 100A DC contactor with one normally open contact, and available with two optional auxiliary contacts. 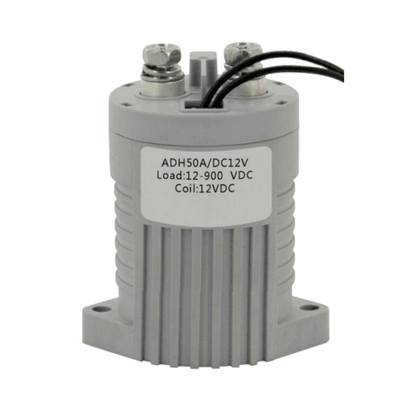 Coil rated voltage with 12V/24V/48V for selection, main contact voltage drop at 100A, not above 100mV. 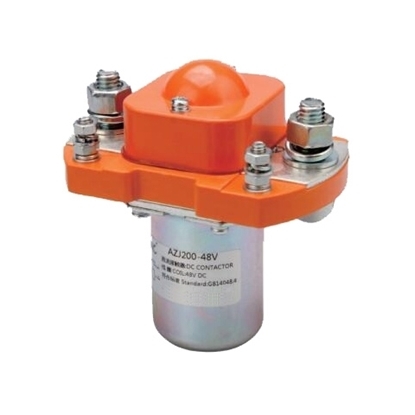 This 200 amps contactor is available in coil voltage 12V, 24V, 48V, continuous operating duty, SPST-NO contact form, single pole DC contactor with high-performance quality, low cost and manufacturer direct sale. Two pole DC reversing contacor with 2 sets of switching contacts, 2NO and 2NC form, 50 amps rated load current of contact circuit, coil rated voltage with 12V/24V/48V DC for selection. Cheap price and manufacturer direct sale. 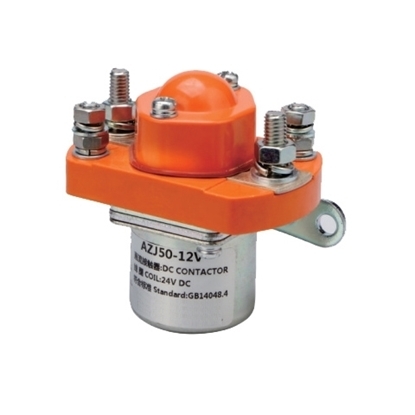 High current contactor, designed for DC loads, contact circuit rated load current is 600A, one normally open contact which has excellent conductivity. 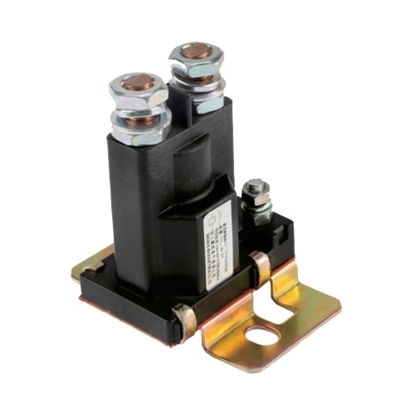 Single pole contactor, cheap price and manufacturer direct sale. 80A rated current DC contactor has one normally open contact (SPST-NO), single pole, available any way to install, coil rated voltage with 12V/24V/48V DC for choice. Low cost reversing contacor with two interlocked contacts, to prevent the motor from running forwards and backwards simultaneously. 2 pole DC contactor with 2NO and 2NC (DPST-NO, DPST-NC) contact form, coil rated voltage with 12V/24V/48V DC for choice. 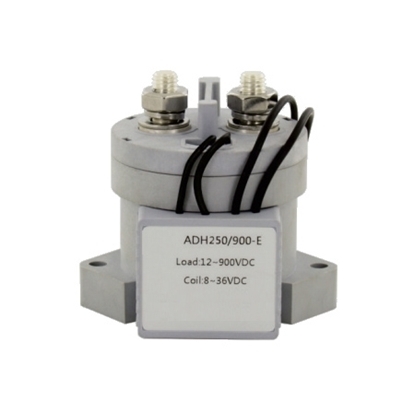 High voltage DC contactor, normally open type (SPST-NO), 50 amps rated load current of contact circuit, available with 12V or 24V coils, the connection of contact and coil need to be nonpolarity. It is widely used in the DC high voltage field, such as electric car, wind power generation, DC power supply control system and so on. The ATO-ADH100 contactor is specially design to meet the requirements of high voltage DC switching applications. Available with 12V or 24V coils, SPST-NO contact form, 100A rated load current of contact circuit, DC 12-900V rated load voltage. 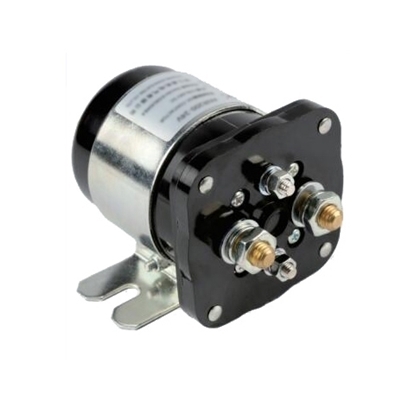 Excellent conductivity reversing contacor is designed for demanding forward/reverse control of the motors. 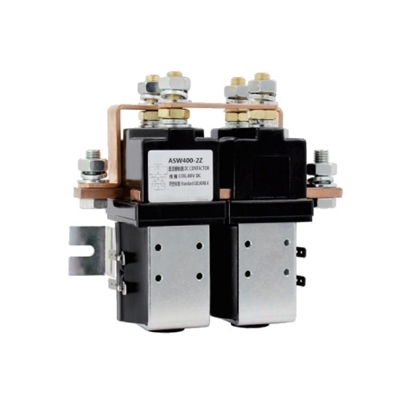 2 pole DC contactor with 12V/24V/48V coil, 2NO and 2NC contact form, and is available with two optional auxiliary contacts. 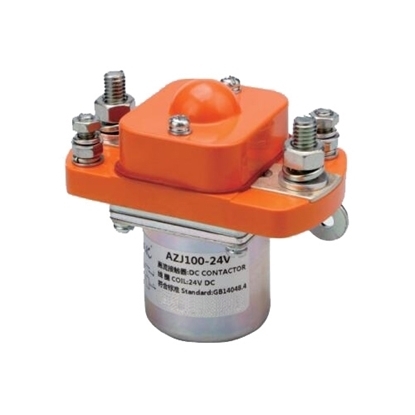 High voltage contactor, 150A rated load current of contact circuit, operating voltage up to 900V, normally open type (SPST-NO), is specially design to meet the requirements of high voltage DC switching applications. Contact circuit rated current 200 amps, 2 pole DC contactor with 12V/24V/48V coil for choice, DPST-NO, DPST-NC contact form, two interlocked contacts are designed to prevent the motor from running forwards and backwards simultaneously. High voltage DC contactor, built in energy saving coil, available with 12V or 24V DC, normally open type (SPST-NO), main contact rated load current is 200 amps, operating voltage up to 900V, maximum switching power up to 640 kW. 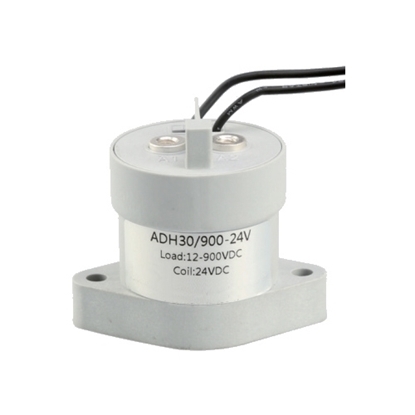 250A rated load current, main contact normal open (SPST-NO), available with 12V or 24V DC coil, switch rated loads at both low and high voltage from 12 to 900V DC. 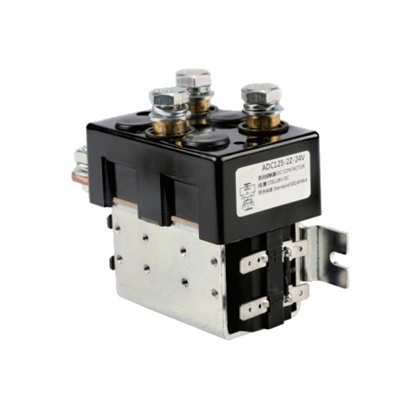 High voltage contactors offers exceptional performance in an extremely small and lightweight device.